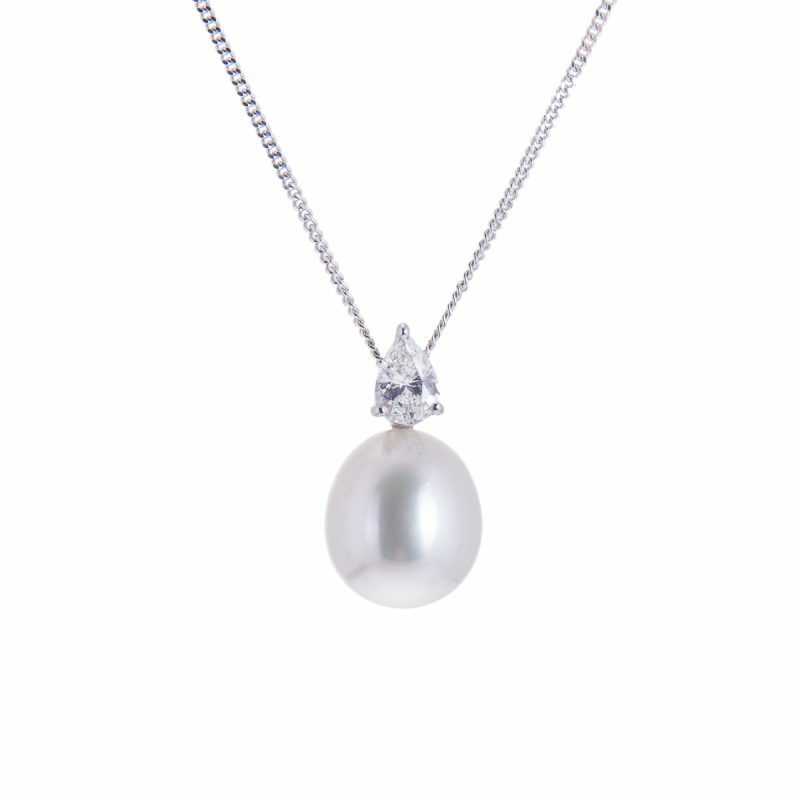 Complete your look with this exquisite pearl and diamond drop pendant. 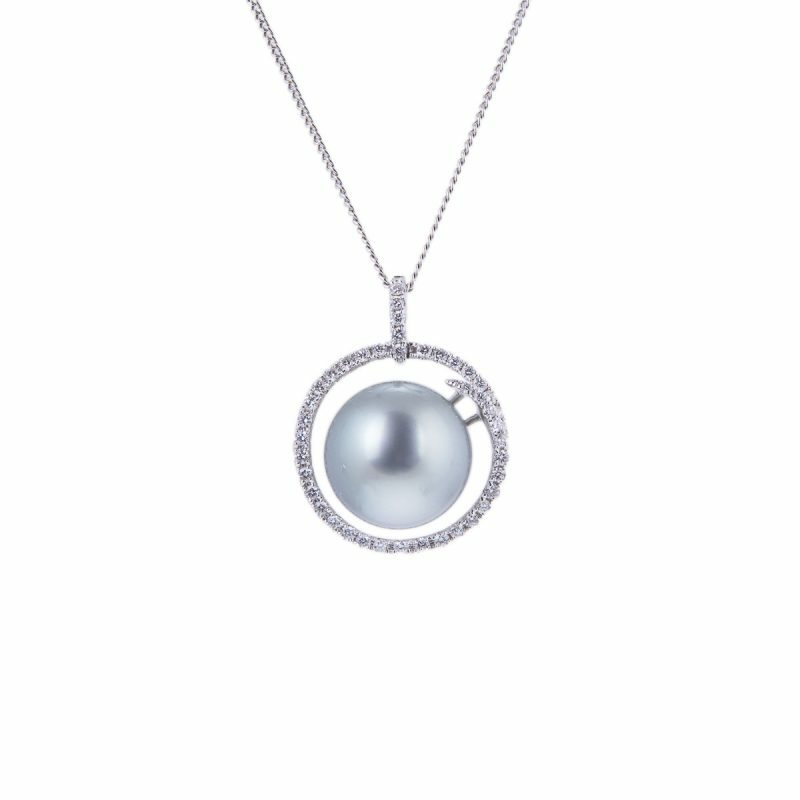 Mounted in an 18ct white gold setting to accentuate the beautiful shape of the pear cut diamond, mirrored by the subtle tones of the oval pearl, all suspended from a fine 18ct gold curb chain. Priced as a pendant and chain complete. 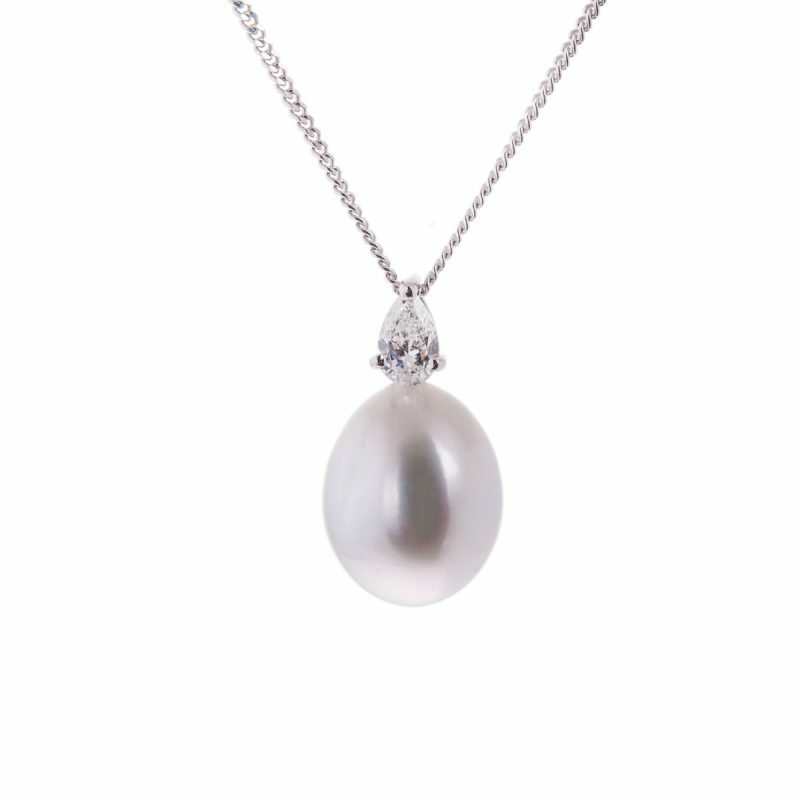 This pendant is complimented by matching earnings, ref: 95/491. 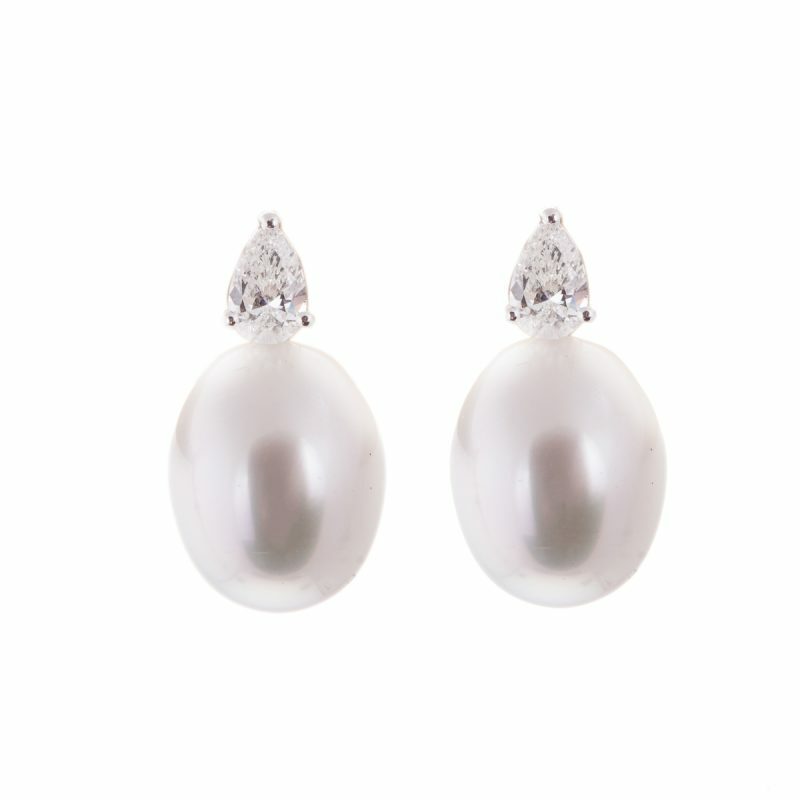 Often referred to as’ The Queen of Gems’, south sea pearls are amongst the largest and most valuable produced in the world.